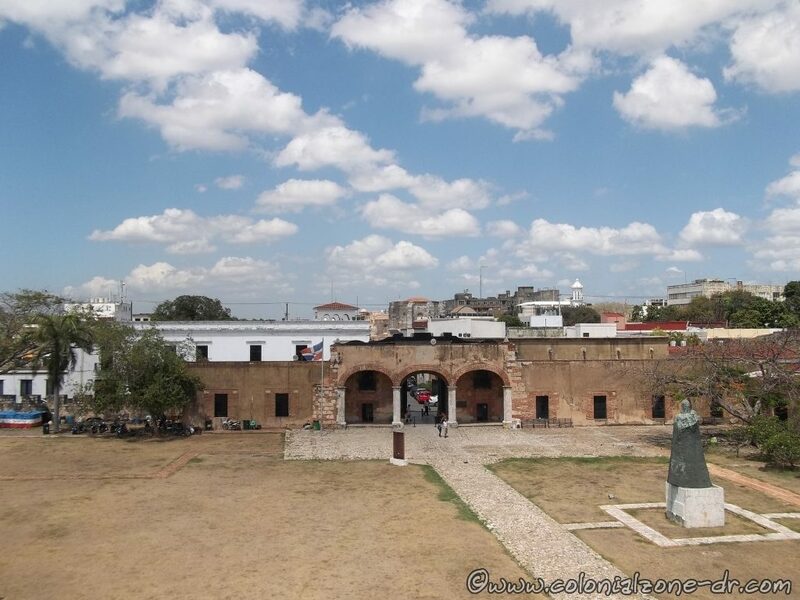 The Fortaleza Ozama is considered to be one of the oldest forts of its kind on the entire American continent. It was built between 1502 and 1508. 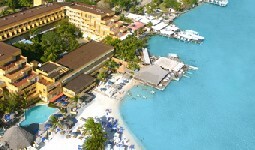 Built with coral brought from the sea that were skillfully cut into blocks that fit tightly together. 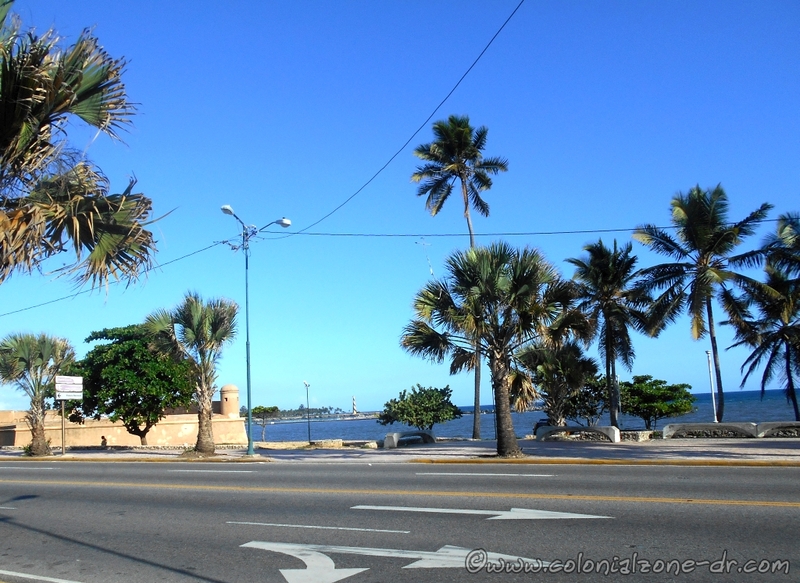 This fort extended from the eastern to the western bank of the Rio Ozama / Ozama River (Ozama is the Taino word for navigable waters or wetlands). 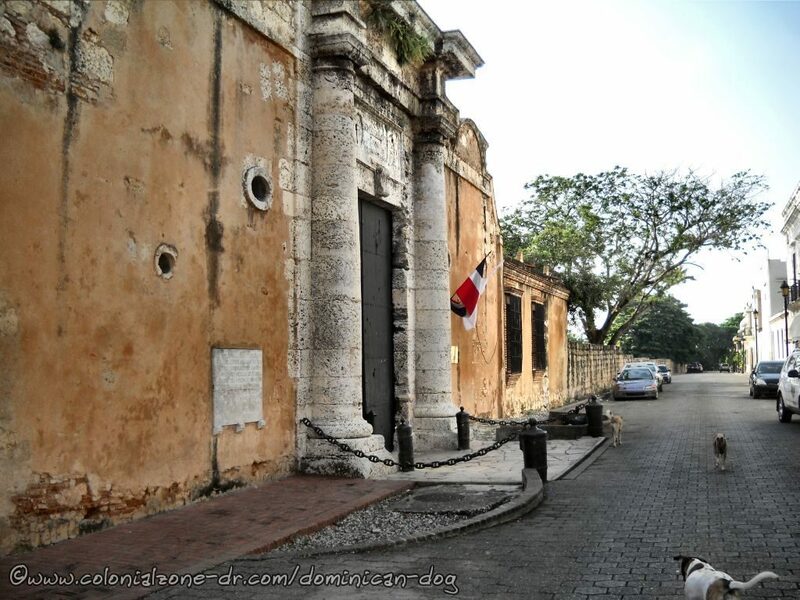 It is one of the many UNESCO World Heritage Sites inside the Colonial City. 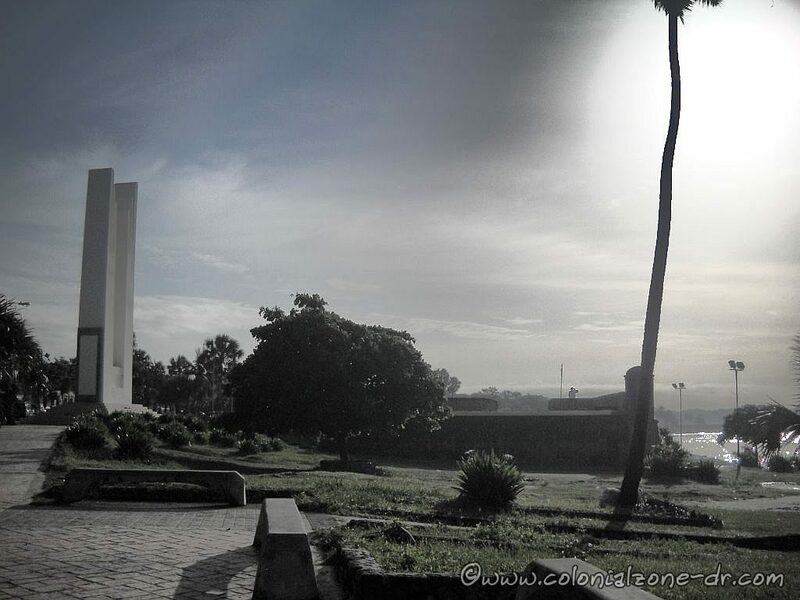 The Governor Frey Nicolas de Ovando, the founder of the city of Santo Domingo, is the person who personally chose this spot for this military instillation. 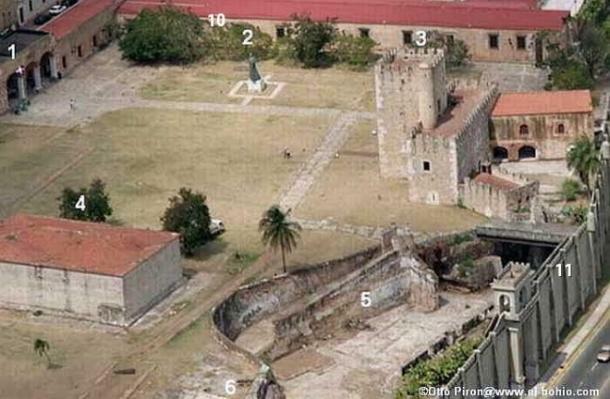 The fort was built by the labor of the African and Taino slaves, as were most of the buildings of this era. 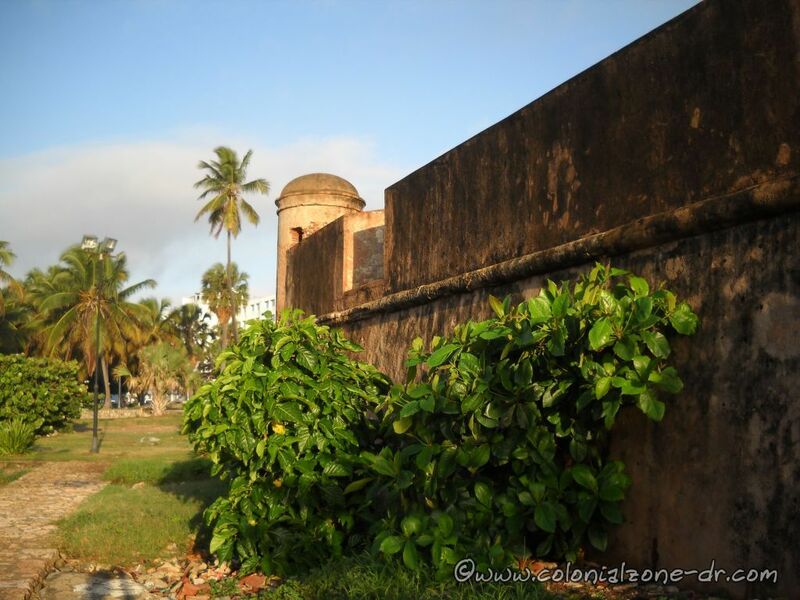 The strategic location of this fort gives it a perfect view of any ship or person trying to gain entry into the city of Santo Domingo. 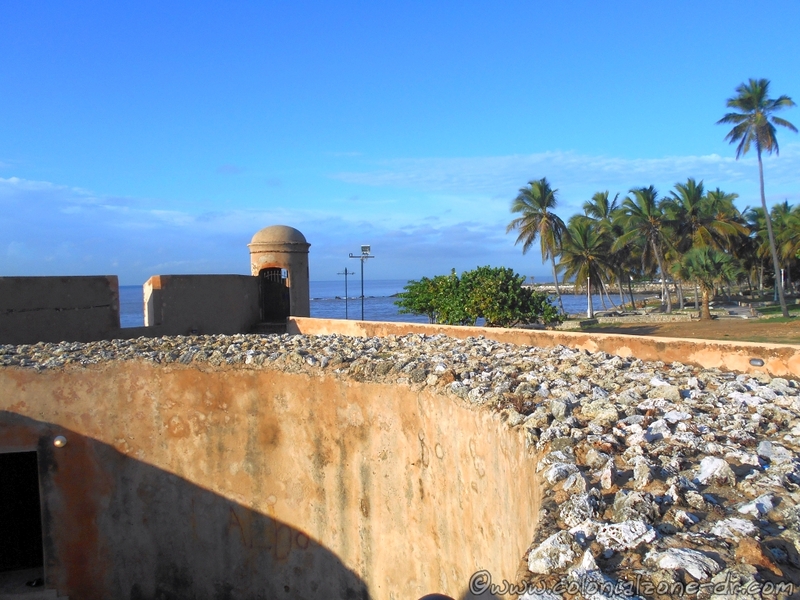 From high on the steep bank the fort overlooks both the Ozama River and the Caribbean Sea. 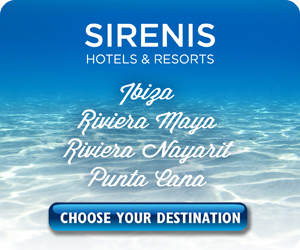 This is where all the departures of the great expeditions to other regions of the Americas began. The strategic location was a perfect way to defend the city against attack by marauder and pirate, common occurrences at this time. The perfect placement of the fort made it a very formidable stronghold. It was never seized by force, even though many attempts were made. 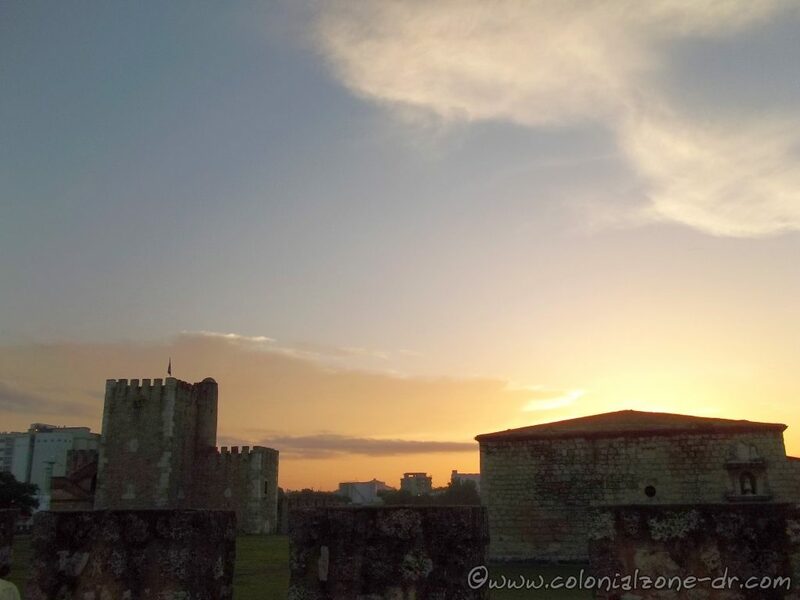 Considered to be “The Axis of the Conquest” Fortaleza Ozama was built by the Spaniards after they finished exploring the entire island. 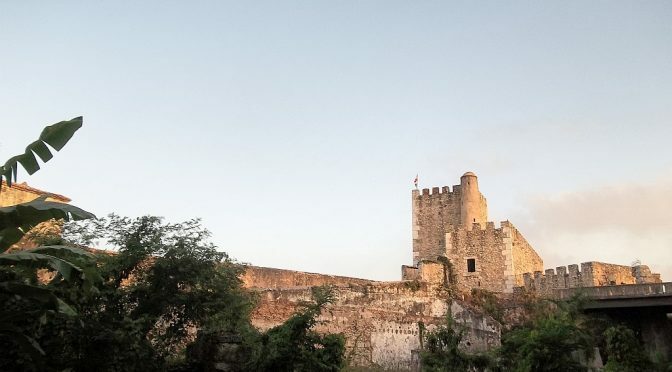 Master builder Gómez Garcia de Varela was responsible for the building of this fort in all its stages. First was the erection of the tower. Then came the shooting platforms and the main defensive fort. As time passed new facilities were added and old ones modified as needed. The walls encompassing the fort are three meters thick with exception of the wall bordering the river. The river wall is only one meter thick. This was done so that if there was an explosion the wall would explode outward to the river. This restricted maximum possible damage. The outer new wall, The Muralla de Felix Benito, was built when Port Santo Domingo and the sea road, the Malecon, was created. The dredge that was taken out of the port was used to make the land on which the highway now runs. 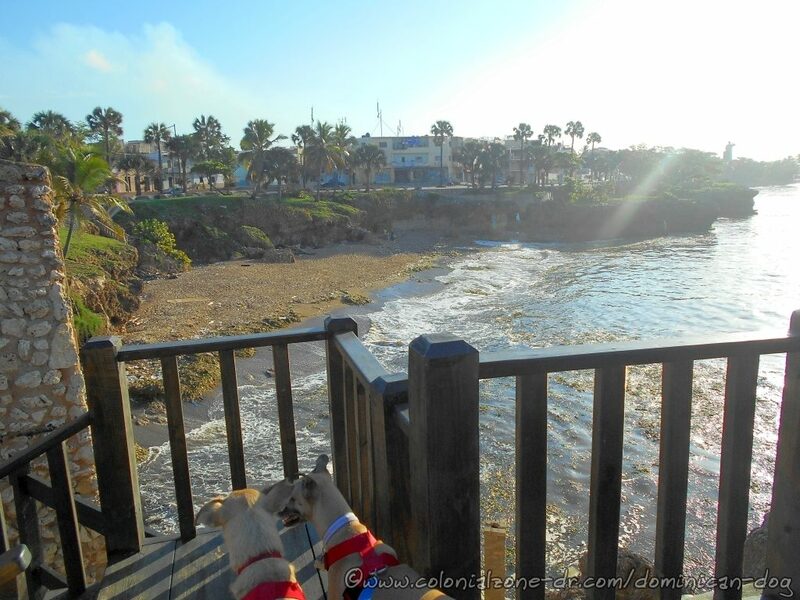 Visiting the Torre del Homenaje you will notice that it is very cool inside. This is because of the towers thick walls. This makes the climb to the top of the tower a pleasant experience even when done during the mid-day heat. The coral rock, which is what the buildings are made of, is a good moisture absorber. 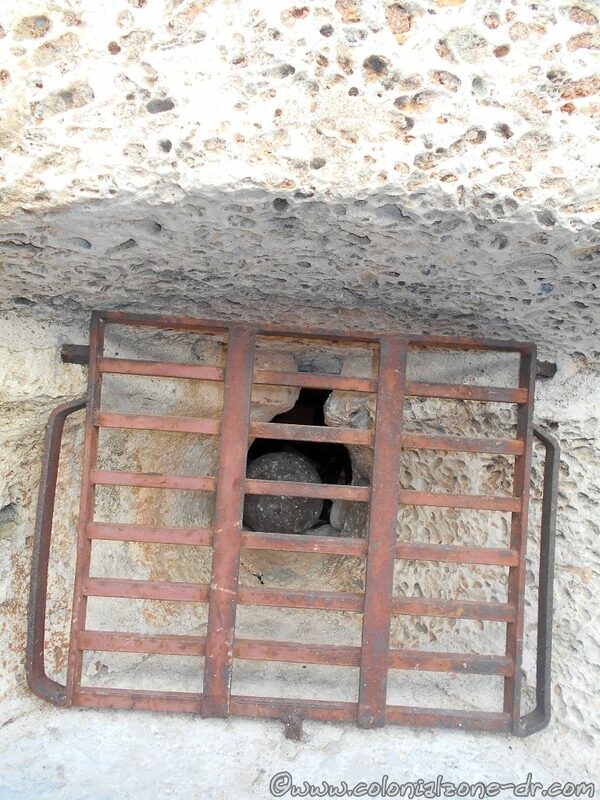 The cement holding it all together was made of gypsum, clay, lime and the blood of animals. 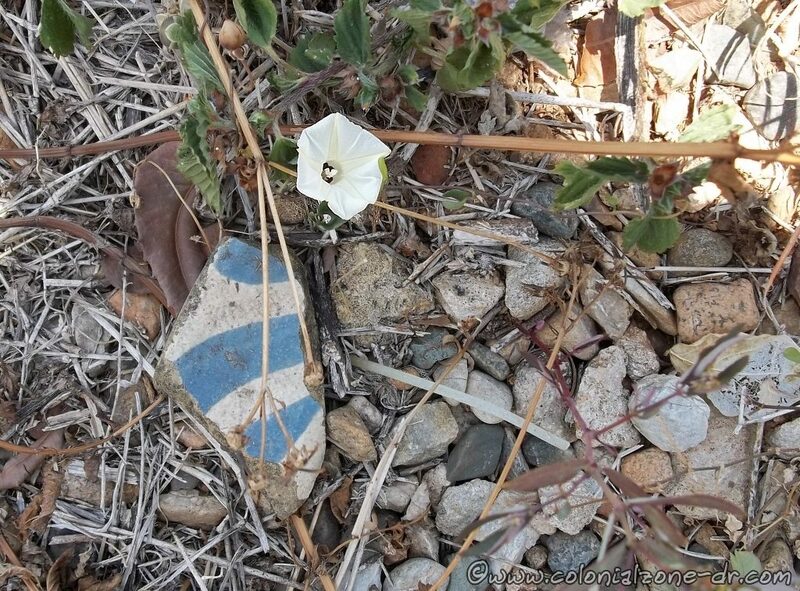 This strong cement became stronger as time went on. Fort Ozama was used as a prison up to the 1960’s. It housed many of the Dominican Republics political prisoners as well. In the 1970´s the fort was retired from military service. At this time the fort was restored and opened to the public. 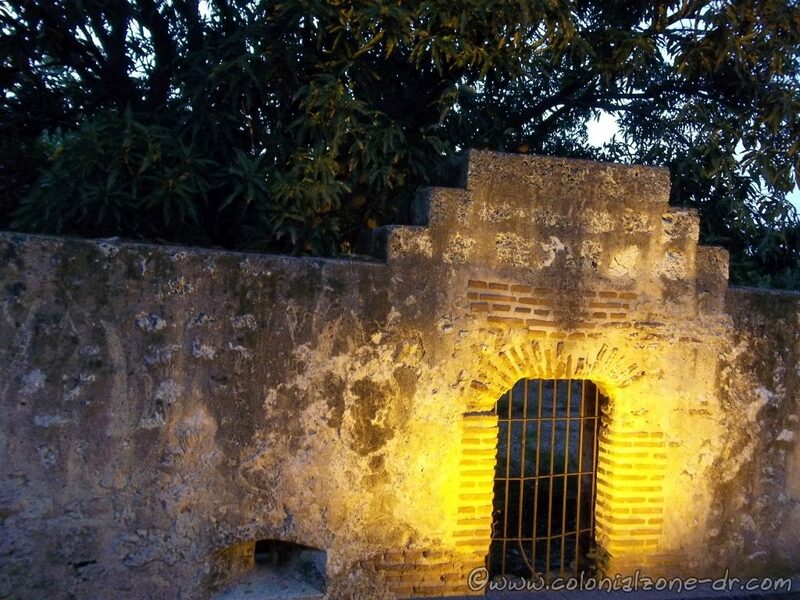 In the outside wall of Fortaleza Ozama hear the main entrance is a Cannonball embedded in the wall. When visiting the fort be sure to take some time and walk the grounds to see the entire fort. Walk the perimeter of the wall that is lined with cannons. At the far corner of the back wall is an old look-out tower that has a Gothic feel. If the gate is open you can go down the old ramp to the lower shooting platform. If your visit coincides with mango season you might be able to pick a mango off one of the many trees along the back wall. 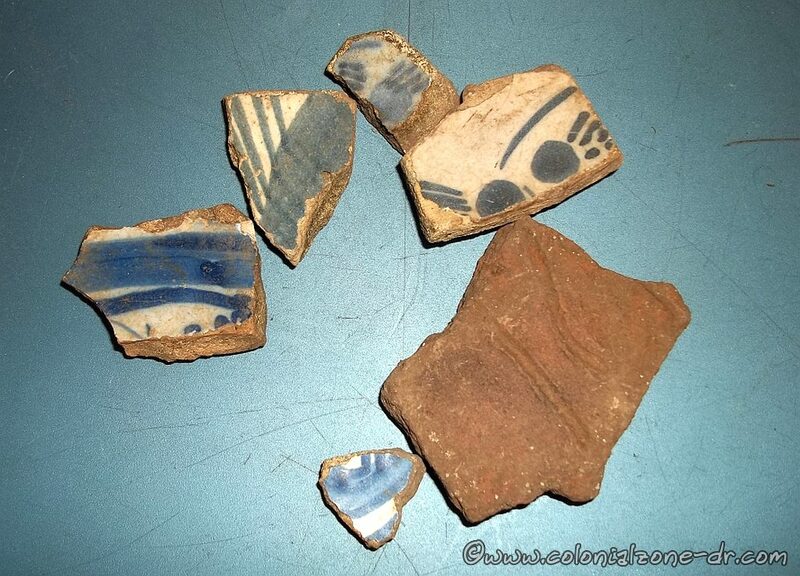 A few times I walked and took my time I found pieces of pottery and porcelain that are very old and I was told some pieces are from Portugal. Some pieces match the styles in the Museo of Casa Reales. Sherd of history on the dirt inside Fortaleza Ozama. 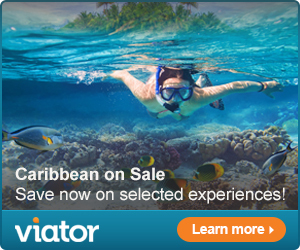 Located on Calle Las Damas and Calle Pellerano Alfau, Zona Colonial, Santo Domingo. Walking on Calle el Conde towards the river take a right onto Calle las Damas and it will be about 1 block down on the left.